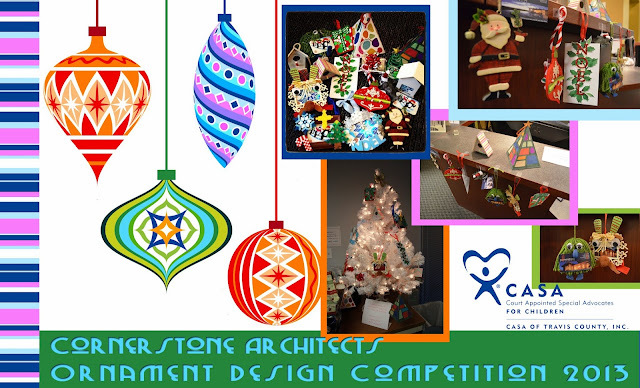 Each year, we try to come up with a way to creatively give back as an office. This year we decided to create ornaments! Each of us made a custom ornament to house a gift card, which we then filled with $30 Target gift cards and donated to CASA of Travis County. We are extremely happy to be able to say we helped contribute to the gifts they provided for over 1,000 children this holiday season! Check out CASA's photo album to see all the wonderful toys and gifts they raised!